In a blender, add the brewed coffee, almond milk, condensed milk, ice and mix well. Separately, pour a serving of coffee liqueur into each martini glass. Then using a cocktail strainer, slowly pour the blended coffee mixture into the glass as to not disturb the liqueur below. The final result should have a layered effect, for a polished presentation. You can replace the coffee liqueur with rum or rompope. 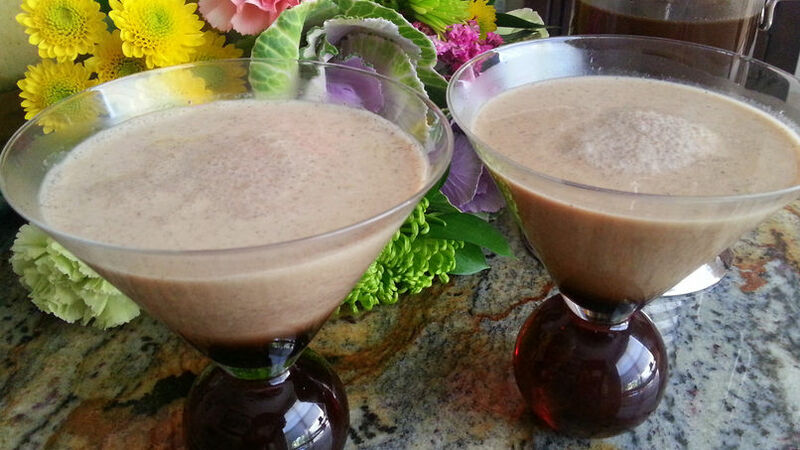 Coffee cocktails are fun to make and can have many different sabores, customized with your own favorite liqueur. With the holiday season about to start, what better way to prepare for guests at home than with a special cocktail recipe. The combined sabores of coffee, almond milk, condensed milk and coffee liqueur create a special mix that will leave your guests surprised by this rico cocktail. Let’s cook!